This might come as a surprise to some but advocating didn't come naturally to me. I was taught (or influenced, perhaps) to believe that people of authority - which included policemen, fire fighters, teachers and of course, medical doctors - demanded deep respect. When they spoke, I listened. This fully underscored that it was expected to do whatever it was suggested that I do. Without hesitation. Then, one day, I was in a college writing class and suddenly, I had an epiphany; one of my professors had taken a liking to me (although at the time, I felt like it was a disapproval) and challenged my personal narrative. What I discovered was that I didn't just need to regurgitate other's opinions, but instead, could begin to champion my own voice. While it felt completely foreign and subjective in tone, it also felt right. For the first time, I had power to share what I believed to be true using my own moral compass. Right or wrong, I had a belief and it mattered. Old habits are hard to break and routinely, while in medical appointments, I would find myself slipping back into a passive patient role and forgetting that I might provide a greater value by focusing on my own personal needs. After all, if I never spoke up, how would anyone know what roadblocks I might be challenged with in terms of employer, insurance, income, and even educational limitations. In my case, I often just went with the flow and tried to work around any personal constraints to take the medication or follow the prescribed doctrine. When our youngest presented with symptoms that simply did not make sense of the given medical explanation by our pediatrician, that passivity became dangerous. So much so, that a week in the hospital recovering from DKA, kicked off the ultimate personal change... no longer was I going to accept a response without researching and analyzing alternatives. This wasn't just about me, but it was also about my children. I can admit this now, but, I think I became kind of a jerk. I was so far away from collaborative care that it took an obsessive online search to believe anything that was said from anyone. Until finally, I was simply exhausted. I knew that I needed a team and that team needed to be with a group of people that were committed to creating positive change and improving care for my children and for the greater T1D community. I also needed to find joy again. Diabetes is hard and this wasn't making it any easier. So how did I get there? A few ways. 1.) Taking time. I needed to grieve. Part of the diagnosis of T1D was recognizing that I felt completely failed by our old medical team. Right or wrong, I also felt guilty in not seeing the signs of T1D and knowing how to respond to them. In order to find my voice, I had to accept that not everything would be in my control, nor was I expected to know how to handle every situation. 2.) Building a team. After our botched diagnosis, I had to break away from our first pediatrician. In order to do so, I needed to find another that was more in alignment to our family needs. I also needed a pediatrician that was confident enough to work with me and to form a partnership that focused solely on giving the best care and being humble and honest enough to admit that not all of the answers would be perfect. However, we would get there, and we would do it together. 3.) Having a desire to 'Pay it Forward'. Part of our family's success has been to work to help others. We volunteer, we share ideas, we communicate. That's the biggest piece in finding your voice. I often say that the first dx taught me what I needed to know while the second dx taught me how I want to change it to make it better for everyone. To me and to the girls, there is great joy in taking an awful moment and creating improved care for all. This is perhaps the greatest joy life can give.... creating a lasting and meaningful change to give happiness to the world around you. 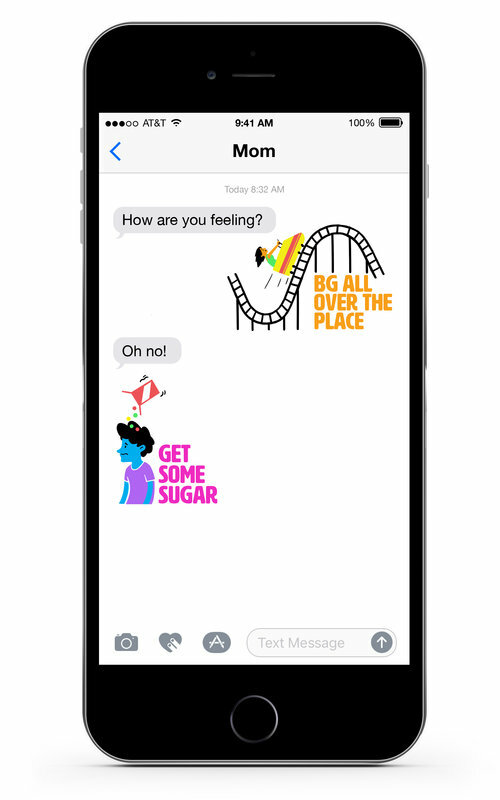 What Does It Feel Like to Have A Child with T1D Away From Home? I remember when our youngest was newly diagnosed. At the time, since she was only three years-old, we weren't missing an abundance of sleepovers. In many ways, having no pressure to sleep over at a friend's house was a nice respite of one.more.worry of living with T1D. We just didn't think about it at all and enjoyed the comfort of middle of the night checks through a short walk down our bedroom hallway. As the years ticked by, sleeping away from home was still less of a big deal. Through the friends that she made, many opted for play-dates only, in lieu of long sleepovers. Even as our older daughter was diagnosed, sleeping overnight still seemed less important than getting together for fun day-dates. Perhaps it was a sign of the times as social networking (yes, the girls had phones - yep, no regrets!) was easier to stay at home but still communicate with friends. Then, one day, fifth grade camp was upon us. By then, we had stumbled through several uncoordinated, messy sleepovers and realized that the reason of not having them, was less about T1D and more about the cranky, irritable little girls that needed recovery sleep after. Taking a plunge, I agreed to chaperone both sessions of the camp and rise above the fray of not just one or two tired girls, but an entire cabin of overly exhausted pre-teens. Simultaneously, through the years, our girls grew to handle more and more care. They also fell in love with their T1D Camp Midicha and while it was a struggle to let go for an entire week, I also found it amazing that an entire volunteer platoon came forth to lead not only wee little ones but the older teens. Which has brought us to this point... a quiet house. Both girls are happily ensconced at camp for the 9th year. And it feels.. right. We now have an almost 17 year-old and 15 year-old. In reflection, I am grateful that we didn't force or push separation any sooner. The girls are both well-adjusted, able to care for themselves independently and have grown into their own pathways towards young adulthood. 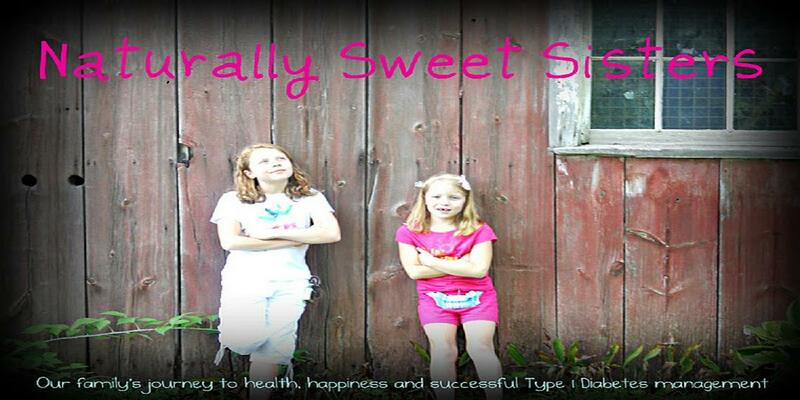 Letting childhood happen organically, with or without T1D, during ages and stages, has made for a smooth growing cycle. I worry less because, I too, have been given time to teach myself how to navigate their childhood. There has been no hurry, no rush and no keeping up with the Jones'. Instead, the girls have led the way and together, we have allowed them freedoms at the right times. The house is quiet. The children are away from home. And as a mom, it is OK. Yes, I miss them tremendously, but I know that the foundation has been laid for a successful transition to college and beyond. This is what we hoped to accomplish all the way back in 2006. I am sure I will cry next spring when that graduation cap is on her curly head. And again, in two more short, fleeting years for our youngest. 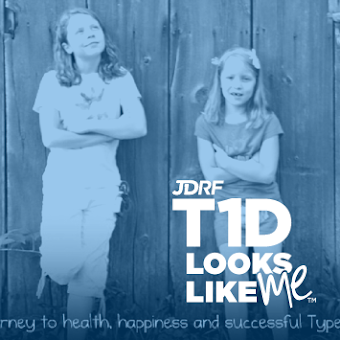 However, those tears will also be mixed with pride at the accomplishment that we made together in creating a family unit that allowed our girls to pursue their passions, dreams, hopes, accomplishments and independence, all while living with T1D. That's what I hope we all feel when we find ourselves faced with a quiet house. Well done, parents and kids!